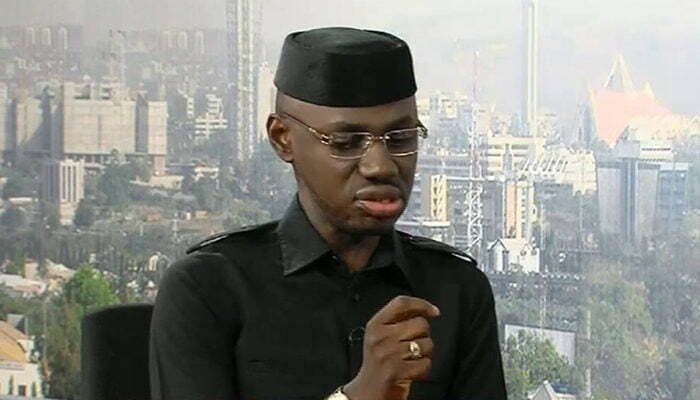 Former Deputy National Publicity Secretary of the All Progressives Congress, APC, Comrade Timi Frank, has called on the Inspector General of Police, IGP, Ibrahim Idris, to resign with immediate effect. He accused the IGP of allegedly turning the police into the armed wing of the ruling party. Frank in a statement issued to DAILY POST in Abuja on Friday, said the recent deployment and alleged use of a Police Helicopter to ferry cash to the candidate of the APC in the Irepodun/Ekiti/Oke-Ero/Isin Federal Constituency bye-election in Kwara South on Saturday showed how the police is working in cohort with the leadership of the APC to forcefully rig the elections. It would be recalled that a police Helicopter had on Wednesday landed at the St. Paul Primary School in Omu-Aran, Irepodun Local Government Area of the state which is one of the LGAs where a by-election is scheduled to take place tomorrow. It was alleged that the police Helicopter crew on arrival at the school were met in the field by the candidate of the APC in the bye-election, Mr. Tunji Ajuloopin, with his Sports Utility Vehicle (SUV). He later drove off after five huge Ghana-Must-Go bags, believed to be stashed with cash, were off-loaded into his vehicle. But Frank has called on Nigerians and the members of the International Community to note that this is not the first time the police under Idris is playing shameful partisan roles in aiding the APC to rig elections in the country. â€œThe use of the police to unduly influence the outcome of elections in any democratic setting is unacceptable and therefore the police must immediately purge itself of partisanship ahead of the 2019 general elections, beginning with the urgent resignation of the IGP. â€œCome to think of it, where did the IGP get the money that he sent a police chopper to drop-off in Omu-Aran for the APC candidate? If it is from the police budget, is that the purpose for which the money was allocated? If it is not from the police coffers, where is the money from? â€œIs the police now the new Father Christmas in town, helping to fund elections in parts of the country, while its personnel are obviously lacking adequate remuneration, operational vehicles, communication, crime detection and prevention gadgets? Or is the police taking responsibility for the vote buying saga that has characterized recent elections in the country? â€œThey did it in Ekiti, Katsina, Bauchi, and recently in Osun. The police was established to serve and protect all Nigerians, irrespective of race, creed or party affiliation. The police under Idris have not only failed in their statutory duties of securing the lives and property of Nigerians but have been turned to an armed-wing of the ruling APC,â€ he stated. He called on the presidency to urgently cause the probe of the police helicopterâ€™s suspicious movement and the source of the funds it conveyed to the APCâ€™s candidate as a way of proving to Nigerians that the police did not act at its behest. He also called on Nigerians to rise and resist police harassment, intimidation, arrest and detention of leaders of the opposition Peoples Democratic Party (PDP), ahead of the Saturdayâ€™s bye-elections in Kwara State. He further urged the European Union, Britain, USA, Germany and relevant Non-Governmental Organizations in the country to massively deploy observers to monitor and ensure that the bye-election is conducted in a free, fair and credible manner.